The 1960s were a difficult time in America for race relations. The civil rights movement was raging, and the black community was demanding fair treatment from a society that had been built around their oppression for hundreds of years. 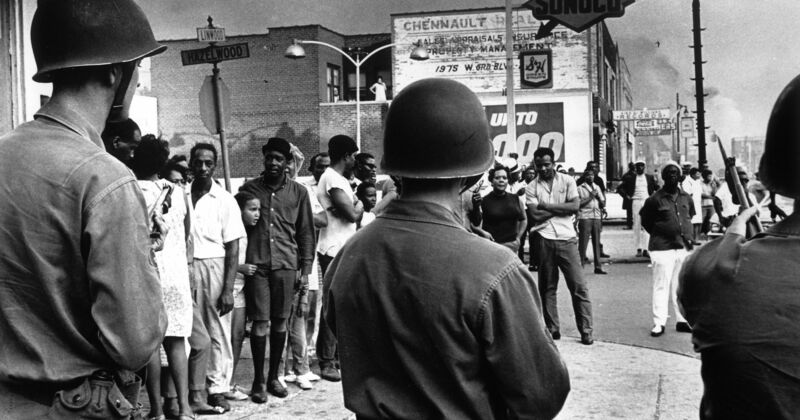 No longer would ‘Separate but Equal’ (which was anything but) be accepted, and though things in Detroit were perhaps better than in places like Mississippi or Alabama, the tension was still high nationwide. Then in July of 1967, things exploded. On July 23rd, just before 4 am, Detroit Police raided a speakeasy on the city’s westside. Expected to find only a few people, the club was full with a party for two GIs, just returned from Viet Nam. There were 82 people there, all of whom were black, and the Police decided to arrest them all. In the time it took them to arrange transportation for over 80 detainees, a crowd gathered outside, and with the eventual tossing of a beer bottle by the crowd, at the cop, so began one of the worst US riots of the last 150 years, second only to the events in LA back in 1992. Image Courtesy of The Detroit Free Press, who won a Pulitzer Prize for their coverage. An evening that started out with a celebration for soldiers returning home from war, resulting in President Lyndon B. Johnson sending troops into the city after Governor George Romney (Mitt’s Dad) declared a ‘State of Insurrection‘ – Over the period of five days, the damage and human loss escalated, tearing the city apart, and resulting in 43 dead, near 1,200 injured, over 7,200 arrests, and more than 2,000 buildings destroyed. The reverberations of these events still continue to show effects on the city and surrounding areas 50 years later. Metro Detroit has been reshaped because of this, with large portions of the white population leaving the city, and with them taking many of the jobs and most of the money. The city fell into decay and is only recently showing signs of resurrection, following their 2013 bankruptcy – a first for a city of this size. So all of that said, it’s almost surprising it took this long for a movie. 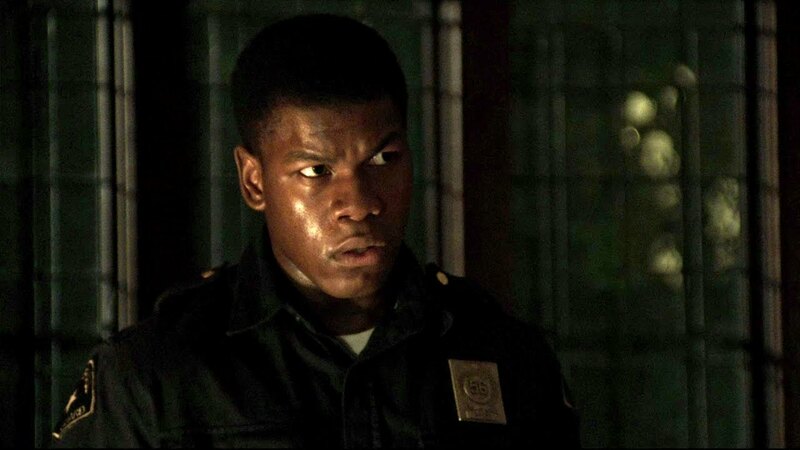 The new film, directed by Kathryn Bigelow (Point Break, Zero Dark Thirty) will feature John Boyega (Star Wars: The Force Awakens), Anthony Mackie (Captain America: The Winter Soldier), Hannah Murray (Game of Thrones), Jack Reynor (Free Fire), John Krasinski (The Office), and Justified‘s Kaitlyn Dever. The film is set for release on August 4th, 2017. 27th Annual Motor City Comic Con This Weekend! The Motor City Comic Con, now in its 27th year, kicks off today at 12:30 pm in Novi, Michigan. I will be heading there tomorrow morning, it will be my fourth time attending since 2008, and I can attest that the show has gotten significantly larger each year. Starting in 1989, they reported about 2,500 people through the turnstiles. When I went in ’08 it was over 15,000, and last year they reported 50,000. The show has become a real event, and if you’re in the area, it’s well worth checking out. Some of us are still mourning the loss of SouthLAnd and others are completely wrapped up in The Killing, but starting this weekend, there will be a new cop drama to fill our times with. Adapted from the mini-series of the same name, Low Winter Sun, is the story of a cop who made a decision and the fallout that followed. In a somewhat unusual move, the AMC version of Low Winter Sun stars the same actor who played the lead role in the British version. Mark Strong plays homicide detective Frank Agnew who, with his partner, Joe Geddes (Lennie James), kills a fellow cop. Of course if it was the perfect crime, there wouldn’t be much of a show so the slain officer is found and the show focuses on the onion like repercussions. Low Winter Sun is set and filmed in a city dealing with its own demons of late, Detroit. While Detroit isn’t a listed character in the shows credits, it’s not hard to imagine that the city will lend its own flavor to the action much like NYC does to Law and Order and Baltimore did to The Wire. In fact the show’s creator, Chris Mundy, hearkened back to The Wire when talking to The Washington Post. Of course it would be difficult to top the brilliance that was The Wire, but not too shabby of a goal to shoot for. Low Winter Sun premieres this Sunday, August 11th, after the final season premiere of Breaking Bad. I’m sure nobody is at all surprised that Eric Draven has made it into our Countdown to Halloween. The Crow was a critical success and a fan favorite with a pretty huge cult following. But that isn’t where the story begins. The Crow started life as a comic book created by James O. Barr, and was an even darker and grittier story than the movie.